US aviation regulators said there was “no basis” to suspend flights of Boeing’s 737 MAX jet after two fatal crashes that prompted at least 45 countries to either ground the troubled aircraft or bar it from their airspace. “Thus far, our review shows no systemic performance issues and provides no basis to order grounding the aircraft. Nor have other civil aviation authorities provided data to us that would warrant action,” the Federal Aviation Administration’s acting administrator Daniel Elwell, said. 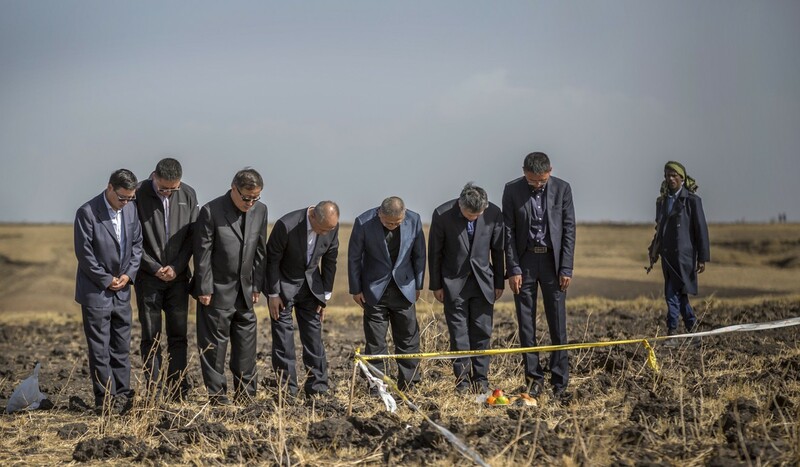 The groundings come after an Ethiopian Airlines Boeing 737 MAX 8 jet crashed on Sunday, six minutes after take-off, killing all 157 people on board, including seven Chinese nationals and one Hongkonger. On October 29 last year, another MAX jet flown by Indonesia’s Lion Air crashed into the Java Sea, 12 minutes after take-off, killing all 189 passengers and crew. As of Wednesday morning Hong Kong time, at least the US, Canada, Panama, Thailand, Mauritania and Kazakhstan permitted airlines to fly the 737 MAX for now. New Zealand jointed a host of countries to ban the MAX jet from its airspace on Wednesday. On Tuesday, the European Union suspended all flights by Boeing’s beleaguered jet, joining counterparts worldwide that followed China’s lead in grounding the US aircraft. Hong Kong remained one of the handful of jurisdictions in Asia that had not imposed restrictions on the aircraft. It is unclear if the Civil Aviation Department would change its mind on Wednesday. Indian airline SpiceJet flies the Boeing 737 MAX 8 aircraft between New Delhi and Hong Kong. However, flights have been suspended after India’s aviation watchdog ordered a safety assessment of the aircraft. Russia’s S7 Airlines, which flies the 737 MAX 8 between Novosibirsk and Hong Kong, was set to continue unless Russia also halts flights of the planes.